Manilla Road's Mark 'The Shark' Shelton, Traditional Metal's Innovator, Dead At 60 Shelton was tireless in his pursuit of timeless metal. He died after performing at the Headbangers Open Air Festival in Germany. Manilla Road's Mark "The Shark" Shelton circumnavigated convention to evolve what fans call epic heavy metal. Mark "The Shark" Shelton — guitarist, vocalist and founder member of the decades-spanning metal band Manilla Road — was an innovator within tradition, testifying to the craft of metal by altering its DNA in riffs that howled and shred, in guitar solos that surfed the curvature of the earth. Shelton died this morning after performing at the Headbangers Open Air Festival in Germany, as confirmed by Shadow Kingdom Records owner Tim McGrogan. He was 60 years old. The band confirmed in a live Facebook video that Shelton died of a heart attack. "Last night I was able to hold Mark in my arms until the paramedics got there," vocalist Bryan Patrick says. "I comforted him. He felt no pain, folks. He went quick. He suffered a heart attack. The stage was very hot last night — a lot of smoke. I was even struggling for a moment. And there were a couple of moments where I checked on him to make sure he was okay, and he gave me the nod. 'Keep poundin', brother.' He went out on top." Shelton started Manilla Road in 1977 in Wichita, Kan., at first pumping out Rush-inspired hard rock with some Hawkwind-ian cosmic sprawl. 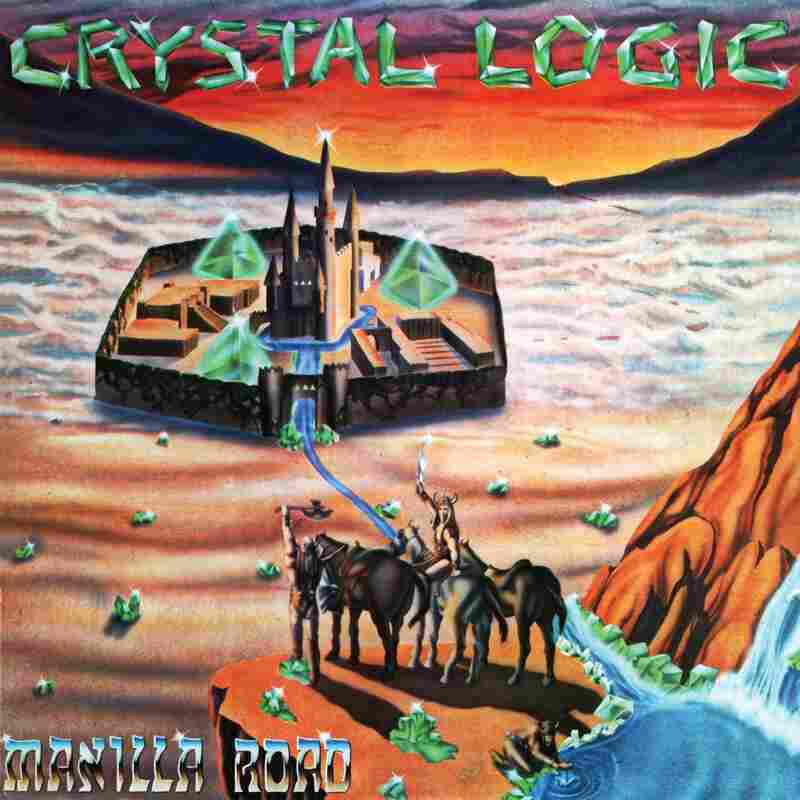 But over the course of three albums — Crystal Logic, Open the Gates and The Deluge — released between 1983 and 1986, Manilla Road galloped across its own bifrost in a spectacular mix of doom riffs, Iron Maiden-inspired speed, reckless thrash and proggy twists and turns. This is where Manilla Road developed a sound in and outside the confines of what's called traditional or power metal, circumnavigating convention to evolve what fans call epic heavy metal — typified by journeys through long and winding tracks that lived up to Shelton's deep lyrical investment in fantasy and history themes. "I'm very sorry to announce today that my long time brother and best friend since 1981 has passed through the Halls of Valhalla," Bryan Patrick, longtime Manilla Road vocalist, writes in a public Facebook post. "Mark W. Shelton, may you rest in peace! There will be more information within the next couple of days. There will be a GoFundMe page set up in order to get Mark back home to his family. My heart is shattered. Please take time today to love your loved ones and hold them close." Shelton wasn't just a guitarist who could wield old magic in six strings, he was a bold songwriter with a seeker's vision. "If there truly was such a thing as karma, or god, or whatever name you assign to the notion that the universe is fair," as drummer Aesop Dekker (Khôrada, Agalloch, Ludicra) once colorfully wrote about Crystal Logic, "Mark Shelton would live in the castle that graces this masterpiece's cover." Shelton released 18 albums with Manilla Road and two with proggy doom-metal band Hellwell, plus last year's Bring the Magik Down by Riddlemaster, a throwback to the late '70s Manilla Road sound. 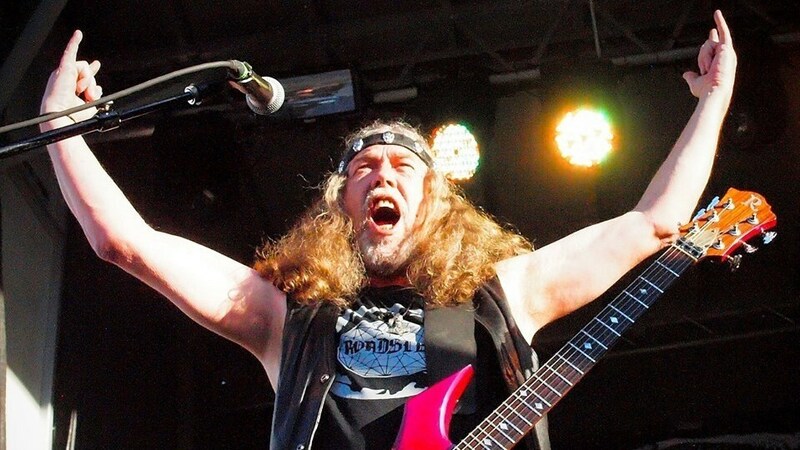 Shelton was tireless in his pursuit of timeless metal, a monumental figure often left to the side of its history, but beloved by those who lived by the sword and upped the hammers. While the band was more celebrated in Europe, you could still feel the power of Manilla Road's music in the dedicated throng who crowded into niche American metal festivals, or the rare tours centered around the cities and suburbs that guaranteed a flood of denim-clad metalheads yelling UP THE HAMMERS. Four years ago, at a no-frills biker bar near Baltimore, with carry-out beers and sparse decor that screamed, "You come here to drink, not stare at pretty pictures," a metalhead's dream stage had been set up, with a full lighting rig and a sound system that could level the gas station next door. Shelton knew his most fervid fans were abroad, but slammed every fire-breathing riff into "Necropolis," "Death by the Hammer," "The Ninth Wave" and "Heavy Metal to the World." Fists were raised and beers were chugged for a glorious two hours. He was in a biker bar, playing it like a warrior atop a crystal mount. "I never felt like I was too old to metal," Shelton told Portland Mercury in 2015. "I'll be doing this 'til I die."